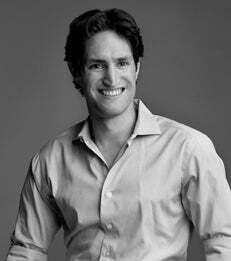 New research from NYU Stern School of Business Professor Adam Alter and UCLA Anderson School of Management Professor Hal Hershfield shows that when adults approach a new decade in age (i.e., at ages 29, 39, 49 or 59), they search for existential meaning and behave in ways that can be constructive or destructive. In six studies looking at exercise, extramarital affairs and suicide rates among adults between the ages of 25 and 64, the researchers determine that certain numerical ages inspire greater self-reflection than others. Further, the authors suggest that people across dozens of countries and cultures are prone to making significant life decisions as they approach each new decade. Studies 1 & 2: The authors examined data from 42,063 adults from more than 100 countries, who completed the World Values Survey and reported how often they questioned the meaning of life. They found that people who were entering a new decade in their lives are more likely to question whether their lives were meaningful. Study 3: Professors Alter and Hershfield categorized more than 8 million male users registered on a dating website that caters to people who are seeking extramarital affairs. They found that men aged 29, 39, 49 and 59 were nearly 18% more likely than men at other ages to register on the site. Study 4: The researchers examined the number of suicides per 100,000 individuals across the US from 2000 to 2011. Suicide rates were 2.4% higher among individuals whose age ended in a 9 than among people whose ages ended in any other digit. Study 5: The professors collected data from Athlinks, a website that compiles running race times, and found that runners ran about 2% faster at ages 29 and 39 than during the two years before and after those ages. Study 6: The authors examined the ages of 500 first-time marathon runners randomly drawn from the Athlinks website, and found 25% more “9-enders” than runners whose ages ended in any other digit. The article, “People Search for Meaning When They Approach a New Decade in Chronological Age,” was published on November 17 in the Proceedings of the National Academy of Sciences. To speak with the authors, please contact them directly: Professor Adam Alter at 212-998-0142 or aalter@stern.nyu.edu, and Professor Hal Hershfield at 650-269-9799 or hal.hershfield@anderson.ucla.edu; or contact Carolyn Ritter in NYU Stern’s Office of Public Affairs at 212-998-0624 or critter@stern.nyu.edu, and Elise Anderson in UCLA Anderson’s Office of Media Relations at 310-206-7537 or elise.anderson@anderson.ucla.edu.